We had a great experience at the Oktoberfest!!! Well organized and planned out events – and the guides were super fun! Words cannot expess what an amazing experience Bucket List Events can provide. 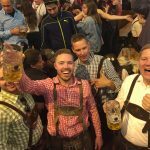 My best friend and I booked a tour with Bucket List Events this past fall for Oktoberfest in Munich. Absolutely everything from the communication prior to arrival, up until the end of our stay was absolutely fantastic. They all went above and beyond to ensure that everyone had a great time, I’m sure this was no easy task for such a big group with so many personalities. Trixie, Toby, Cat, Jessica and Dave – Thank you for a wonderful time at Oktoberfest! We’ll never forget it, you guys were terrific! I’ve always tended to avoid tours because I like the freedom to do my own thing, but frankly there’s no way I would have had half as good a time organising an Oktoberfest trip myself. 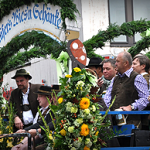 [Oktoberfest Tours] has the on-the-ground talent and experience to take you to where the action is, tickets in hand. I’d like to thank all the friendly, energetic guides for their tireless commitment to my entertainment. Considering a trip to Oktoberfest? 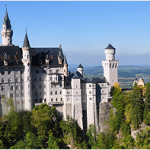 Look no further, [Oktoberfest Tours] offers a fantastic package you’ll remember for a lifetime! 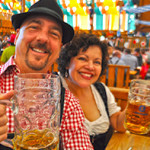 Ashley, Rich, and Cagney were not only fun and enjoyable people to hangout with but were great guides who completed the Munich and Oktoberfest experience. The hotel, the welcome dinner, the bike tour, the castle tour and most importantly the tent reservations, met and exceeded our expectations. We hope to be able to go to Oktoberfest again someday and when we do we will definitely book with [Oktoberfest Tours] again. Prost!